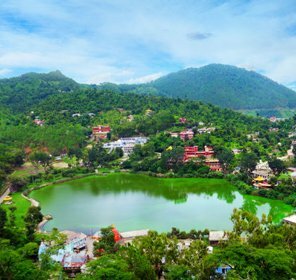 Stream-fed Khajjiar Lake, rolling verdant meadows, lush forests and a featured plateau on which Khajjiar hill station is located give genuine feeling of Nature taking care of those coming here. All these aspects lead to another deduction- topographic similarity to Switzerland. 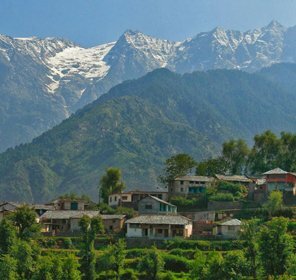 For this reason, the place is referred to as Mini Switzerland of Himachal Pradesh, quietude to cherish. 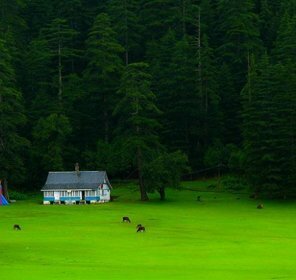 Khajjiar, a part of Chamba district in Himachal Pradesh can strike as an epitome of beauty explored, discovered and rediscovered every time one gets to see it. The altitude of 6400 ft (approx. 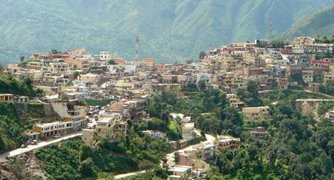 2000 m) at which this small but serene world-famous cool town is located makes it an appeal in itself. 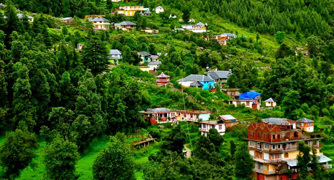 Some of the Himachal beauties located nearby this wonderland are Dalhousie, Chamba, Kalatope, Jot, Lakkarmandi, etc that could be combined with Khajjiar tour, making vacations more worthy. Ideal for honeymooners, the place is also enjoyed by those seeking some quality time with family and kids along with winter sports enthusiasts who look for a reason to bask in the glory of snow. There are very few fun-activities as much joyful as Khajjiar travel that can provide a peculiar sensation of elation. 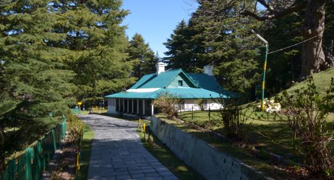 Another attraction while touring Khajjiar is this temple, which is also located near the lake only making it easier for the tourists and devotees to pay their reverence to the deity of this temple with golden dome. Corporate professionals who might be missing some aristocratic touch in holidays can make use of their time playing this game. Located near the Golden Devi temple, the ground is a great way to get spoiled by the fun of golfing in a serene hill station. 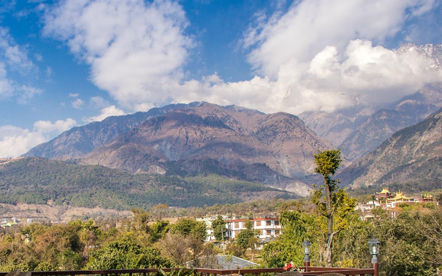 The mountain range and its snow-captured peaks are proud onlookers of this hill town. One can enjoy viewing of the place and admire the handy work of divine. 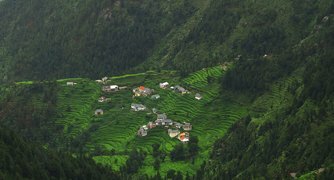 Small human settlements nearby like Ladi, Rota, and few other villages enchant the visitors to Khajjiar just as any simple humans of place would. The five Pandavas of Mahabharata seem to be the main characters in the history as well as botany of the place. A tree named after them because of its root divided in five parts (representing each Pandava) also attracts visitors to Khajjiar. The enchantment trap laid down by forests of trees unique to these hills in addition to the mountain ranges that surround Khajjiar is not easy to resist and there is no need to do so once it is vacation time. Following nearby places stand tall as a testimony. As with any other place, accommodation is as important to this trip as the sightseeing. Coming to a lousy hotel and room service after a wonderful day of Khajjiar holidays would spoil the entire good mood accumulated over the day. So, enjoying great mornings and glorious evenings are just as important as bathing, resting, rejuvenating and relaxing in proper accommodation. This calls for prior bookings for a free mind rather than reaching to the place and then looking for it. Latter situation has a knack of getting very risky during peak tourist seasons, which is none other than summers. Some of the names that keep on coming while searching for a comfortable, reliable and according to pocket-size are Royal Residency, Shining Star Resort, Hotel Mini Swiss and Hotel Hritik Palace. According to general votes, alpine summer gets the highest points making it the paramount season for the visit, from March to June. 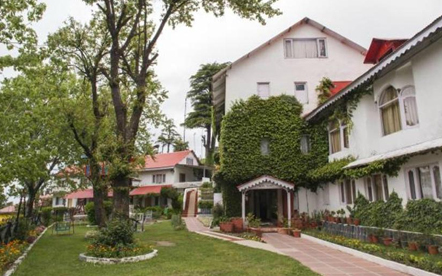 For exceptional individuals, who like rain and snow more than any other aspect of Nature, other spells of year might be more appealing though with a little caution, especially if chosen Khajjiar hotel is also cozy. If air travel is a preference, Gaggal airport in Kangra is the nearest one, 127 Km, to reach Khajjiar and nearby places. Pathankot serves as the nearest railway station to here, situated at 120 Km distance, after which taxi could be taken. 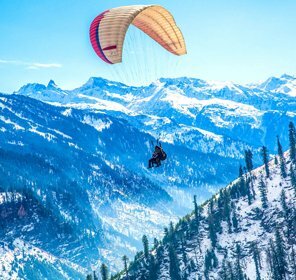 Khajjiar could be adventurous in more than one way if to be reached by road. The maps from different nearby places are easily available online but some prior research is good. If journey is to be started from Delhi, distance of 600 Km around poses the first challenge.